Let's be honest: How often do you check the tightness of your wheel nuts (and wheel bolts)? Once the wheels have been fitted and the wheel bolts tightened, everything is ready – isn't it? Not quite! 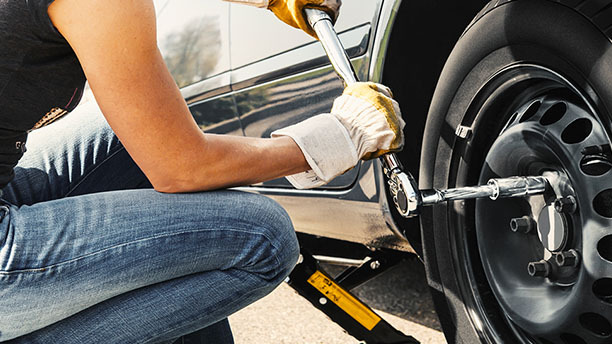 When it comes to safety, it is very important to check the seating of the wheels from time to time, and not just after a tyre change. But why do you have to tighten the wheel nuts? Anyone who travels by car on the road every day should have their tyres regularly retightened. Automobile clubs recommend checking the seating of the nuts after 50 to 100 kilometres and retightening them whenever necessary. The reason for this is that the wheel bolts can loosen over time, meaning the wheel is no longer seated as tightly as it should be. 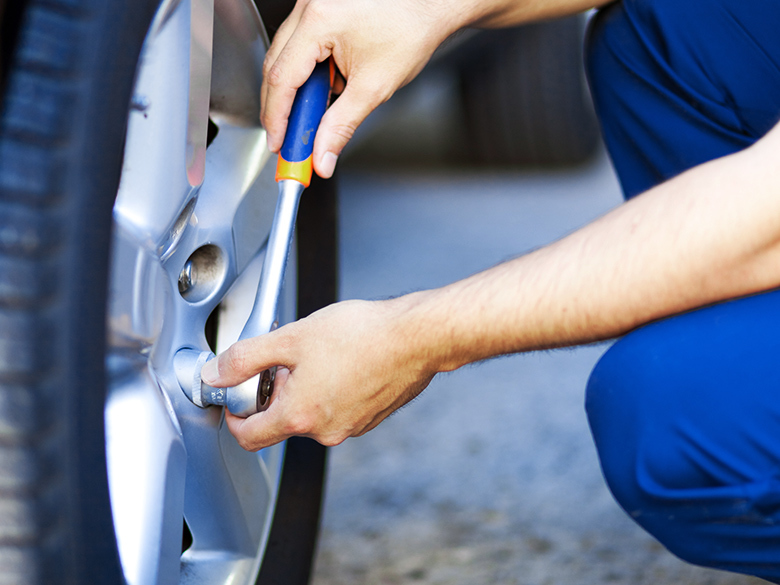 After all, car tyres are subjected to heavy stresses on the road. You can prevent this by tightening the wheel nuts using a torque wrench whenever necessary. "Strictly speaking, it is the wheel nuts (wheel bolts) that are tightened. But people often call this process "tyre tightening". Don't worry, a wheel can't just fall off! If it really is loose, you will hear loud knocking sounds whilst driving. Pull over immediately in a situation like this. 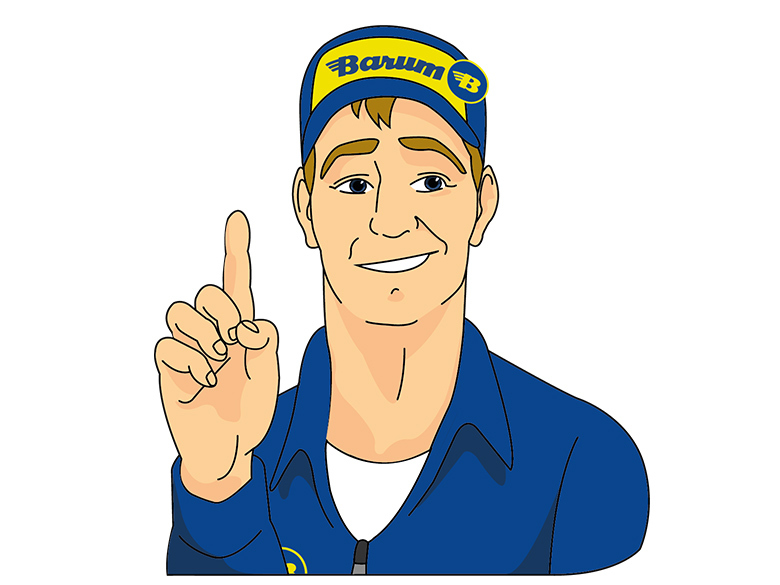 Check the wheel nuts and retighten them or call a breakdown service." The tightening tool: the torque wrench? The torque wrench is indispensable both for changing the wheel and for retightening the nuts. You can only tighten the wheel bolts correctly if you use one. 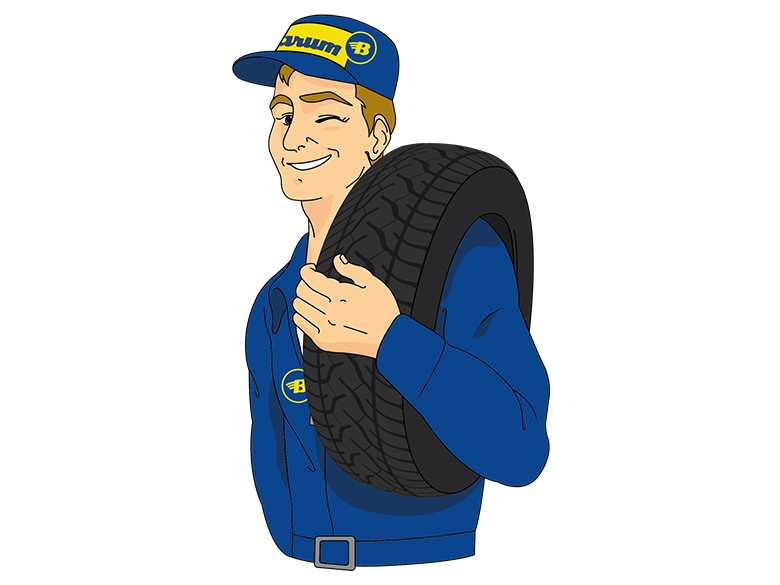 The key to tightening tyres is the torque value (also called tightening torque). This is stipulated for each car or rim and tells you how much force should be used when tightening the wheel bolts. This value must be maintained so that the bolts can withstand the stresses they are subjected to when driving and hold the wheel securely in place. If the screws are not tight enough, they can come loose whilst driving. If the wheel bolts are too tight, the threads might get stripped or damaged. And this is where the torque wrench comes in. Using a torque wrench enables you to tighten up the wheel bolts to a specified torque. All you have to do is set the value on the tool and then release the lever – as soon as the tightening torque is reached, you will hear and feel a clear click in the wrench. But where can you find the stipulated value for your own car? What is your car's torque value? The optimum torque value for your car or mounted rims can be found in the vehicle manual. It depends on the car model, rim size, design (aluminium or steel rims) and number of bolts. It is normally between 110 N⋅m and 120 N⋅m. If you change the rims on your car, you will find the new torque values in the rim certificate. "The rim certificate is issued by the manufacturer. It confirms that the rims have been tested and approved by the relevant authority." If you do not have the car manual to hand right now, it is worth taking a look at our torque chart. 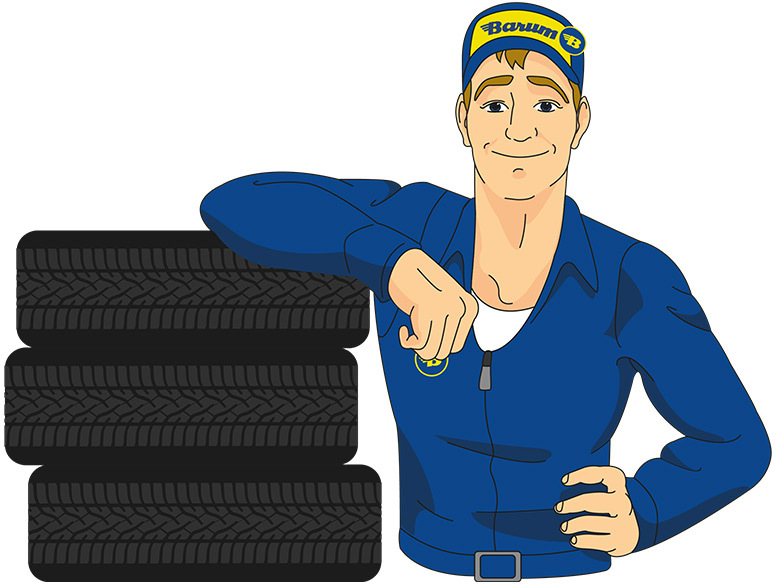 "If you are retrofitting: Remember to have your new rim size entered in the vehicle registration document. 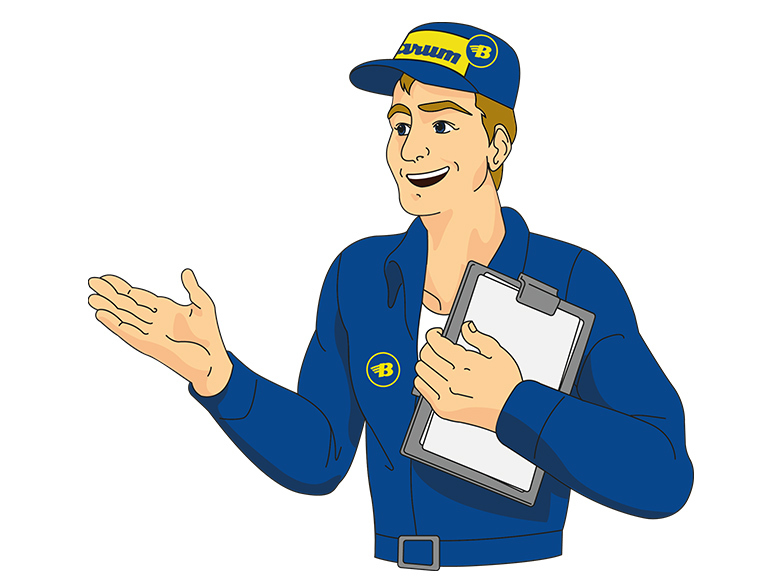 This means that you will have to take the wheel rim certificate with you to your next vehicle safety inspection." Step 1: Put your car into first gear and then apply the handbrake. Have the torque wrench ready. Step 2: Set the torque wrench to the stipulated value. Step 3: Tighten the wheel bolts one after the other in a criss-cross pattern. Turn the torque wrench clockwise. Step 4: Loosen the torque wrench so that the spring does not slacken and the torque value settings remain correct for the future.. If the spring is slack, the torque wrench will give way before reaching the set value. "Ensure that the wheel bolts are tightened in a criss-cross pattern. This will ensure that the wheel is seated correctly." 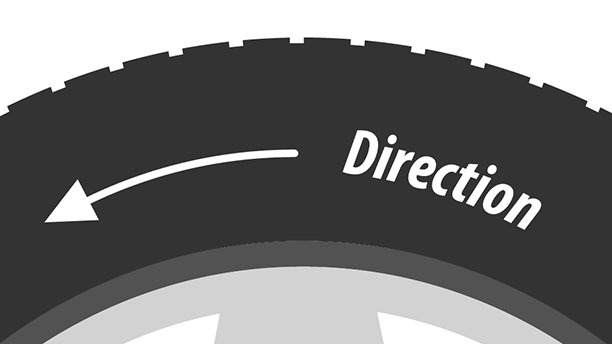 Some tyres have a predetermined direction. We explain how to recognise them and what their advantages are.